,32, 34,Parcel card (verticaly creased without affecting stamps, slight crease at bottom), franked 15,20 K., using 15 K. value ! ;Sent from Banja Luka (10. IX. 20) to Belgrade (without arrival cancellation, which is common for destinations in Bosnia or Serbia). Non philatelic use of 15 K. value is rare, it was mostly used on parcel cards from Split. 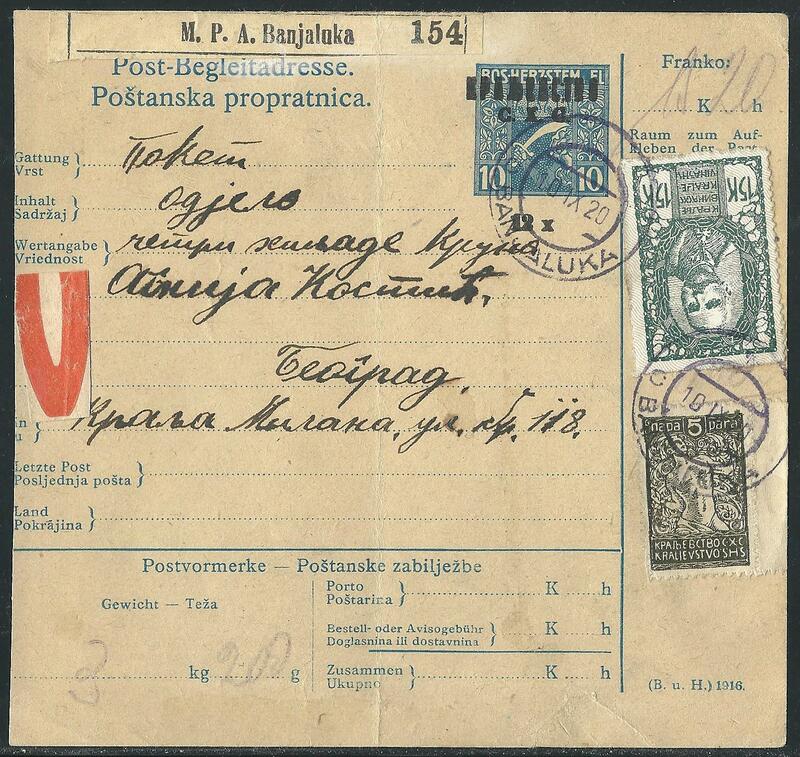 Very few 15 K. stamps used on parcel card from other places are known.